Music, Marching, and Madness! 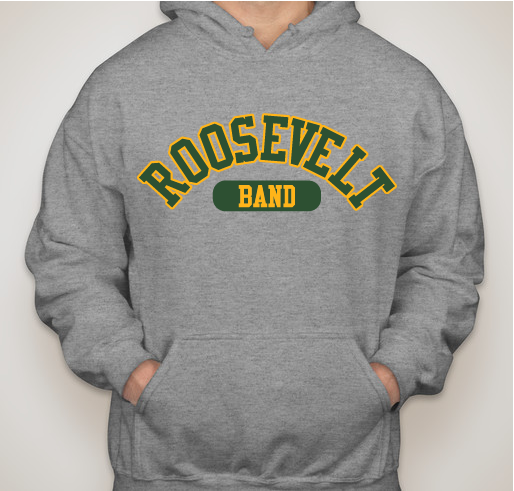 Roosevelt Band Gear! New and returning Riders, get ready for Basketball Pep Band and Spring Band Camp! All funds raised will be paid directly to Roosevelt Band Boosters for Scholarships and General Funding Requirements. If you missed the fall sale, get your Rider Band gear NOW so you're ready for Basketball Pep Band, early spring practice, parade season, and Spring Band Camp, and help raise a little money for the program! All money raised goes to directly to our Roosevelt Band Booster fund, providing scholarships, transportation, and opportunity for Roosevelt Band student musicians in Concert, Symphonic, Marching, and Wind Ensemble bands. With a long tradition of excellence, the Roosevelt Band program touches our community in so many ways. Fly our flag proudly and celebrate the kids, directors, and volunteers who enable us to so much with so little. Buy a sweatshirt or two! Parents, if you have an incoming 9th grader who plans to play in any of the Roosevelt Bands, get them set up and ready for Fall Band Camp, marching practices, and help them 'find their people' as they start their time at Roosevelt High School. Current band members, get 'on the bus' and show your pride, and get your parents and siblings geared up as well. We're not funded like some schools on the East side or to the North, but we stomp the tundra loud and proud from Portland to Vancouver, from Ellensburg to Camp Casey, every Sunday morning after Husky home football games as we clean up and cash in, and everywhere in between. Our kids give a lot and they get a lot, but Roosevelt Band is very much a family and community endeavor. So please, buy a sweatshirt or two for your musician and your family members. Share Why You Support "Music, Marching, and Madness! 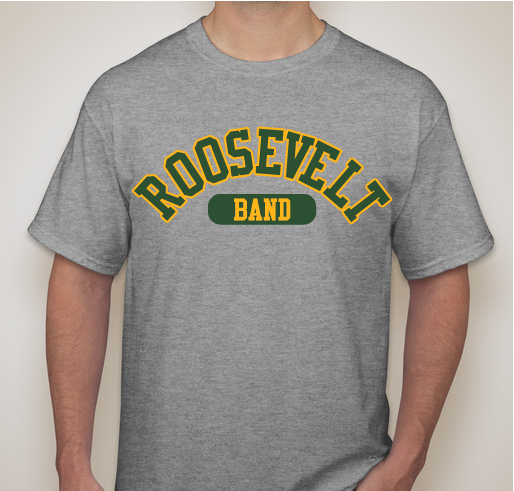 Roosevelt Band Gear!"